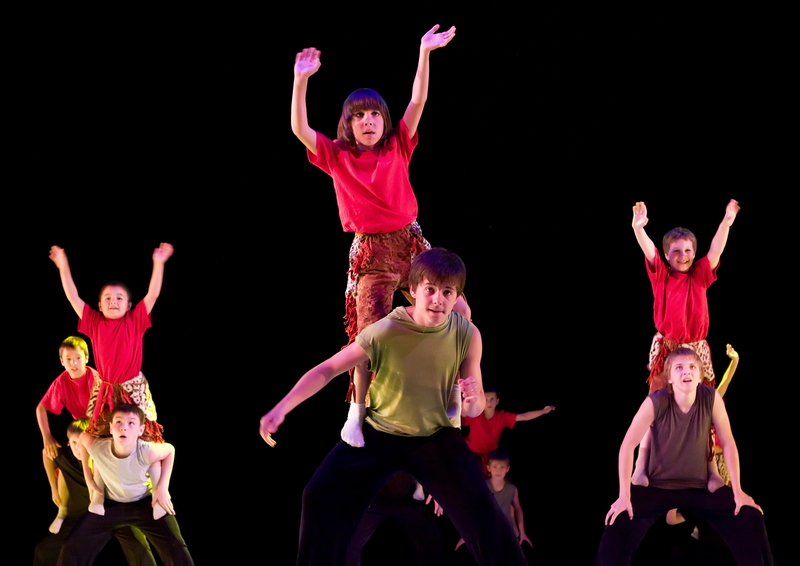 ages 3-5 yrsOur youngest aspiring circus artists develop basic coordination, balance, flexibility and motor skills through playful exposure to gymnastic skills designed to help with cartwheels, back bends, and early stages of hand stands. Obstacle courses are a highlight of the class. Little do they know the exciting challenges are designed to develop awareness of their body in space which helps tremendously as they are introduced to basic balancing on the static trapeze and aerial silks. 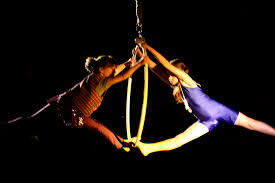 Every class provides an opportunity to practice at least one skill on the trapeze or silk. Students learn moves on a knotted silk for added safety and security. Practicing elementary juggling skills and learning goofy clowning skits add to the circus experience. No prior experience is required. For optimal safety and opportunities on the equipment, class size is limited to 8 students. 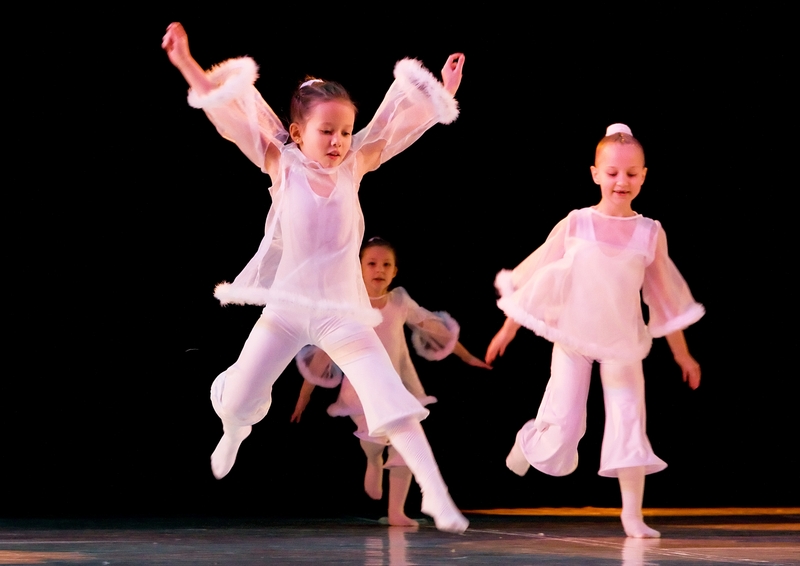 ages 4-6 yrsBasic coordination, balance, flexibility and motor skills are enhanced in this class. Those ready for it, start to master cartwheels, back bends, and early stages of hand stands. Obstacle courses continue to be a highlight of the class and are crafted to challenge students on many levels while helping to boost self-confidence, courage and teamwork. Every class provides an opportunity to practice at least one skill on the trapeze or knotted silk while learning proper body mechanics to safely mount, maneuver and dismount. Students learn tricks appropriate for their level and particular skill and, no matter what level they are, they will feel proud of their accomplishments. Practicing juggling skills, circus balancing tricks, and learning goofy clowning skits add to the circus experience. No prior experience is required. For optimal safety and opportunities on the equipment, class size is limited to 8 students. 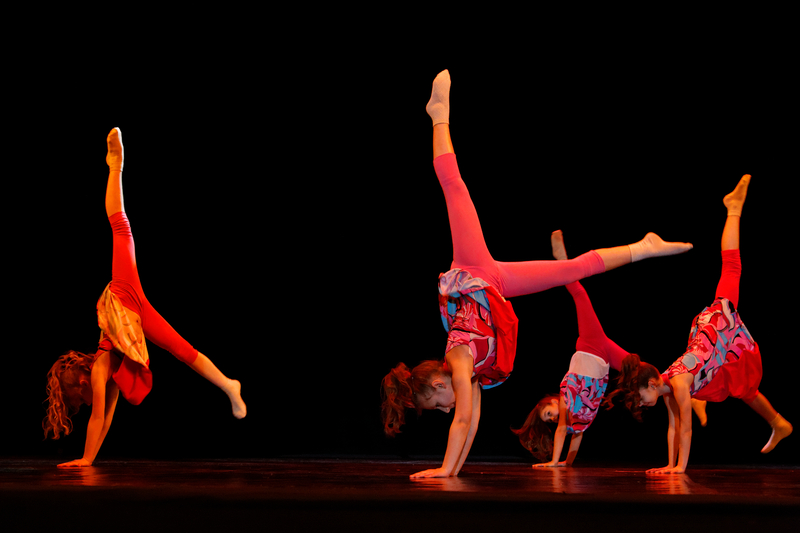 ages 5 – 8 yrsCoordination, balance, flexibility and motor skills are applied while refining cartwheels, back bends, and more controlled attempts at handstands. Gymnastic skills are practiced while cycling through gymnastic stations and travel through an obstacle courses. This provides opportunities for the instructor to give one on one feedback on skills that will transfer to work on aerial apparatuses. Every class provides an opportunity to practice at least one trick on the trapeze or silk while learning proper body mechanics to safely mount, maneuver and dismount. Learning amazing new tricks on the ariel silk and trapeze will improve, strength, flexibility and possibly result in your child's desire to run away and join the circus! Students will learn tricks on the knotted silk, will begin to learn climbs and will move on to do tricks without the knot if they are ready. No prior experience necessary. For optimal safety and opportunities on the equipment, class size is limited to 8 students. This is the class for those who love the idea of their feet being anywhere but on the ground! Gymnastic skills are practiced to help develop the strength and flexibility required while on the arial apparatuses. On the silk, students will learn Russian and French climbs, basic foot locks, and, if ready, tricks without the knot. On the trapeze students learn basic transitions, tucks, and basic moves like birds nest and mermaid. Skills learned on the trapeze will be transferred to skills needed for the lyra. During any downtime when not on the apparatuses, students will have opportunities improve gymnastic skills at stations, try out poi, juggling and balancing tricks. No prior experience is necessary and skills taught are customized to individuals strength and skill level. For optimal safety and opportunities on the equipment, class size is limited to 8 students. This is the class for those who love the idea of their feet being anywhere but on the ground and are ready for some extra challenge! Gymnastic skills are practiced to help develop the strength and flexibility required while on the arial apparatuses. On the silk, students will learn Russian and French climbs, basic foot locks, and, if ready, tricks without the knot like inverting and small drops. On the trapeze students learn basic transitions, tucks, and basic moves like birds nest and mermaid and various hangs. Skills learned on the trapeze will be transferred to skills needed for the lyra. During any downtime when not on the apparatuses, students will have opportunities improve gymnastic skills at stations, try out poi, juggling and balancing tricks. No prior experience is necessary and skills taught are customized to individuals strength and skill level. For optimal safety and opportunities on the equipment, class size is limited to 8 students.